Lisa Goddard is an active performer and teacher based in Boston. She is a member of the Pro Arte Chamber Orchestra of Boston, the Portland Symphony Orchestra in Maine, the Orchestra of Indian Hill, and Cardamom Quartet, and can also be heard with Boston Ballet, Ensemble Parallax, and several other ensembles in the Boston area. Lisa pursues a wide variety of musical interests, from sonatas to symphonies, from historical performance to contemporary music. Lisa teaches violin from her home in Jamaica Plain as director of the Goddard Violin Studio. Please click on studio to learn more. Cardamom Quartet is a Boston-based ensemble engaged in reimagining the traditional canon and committed to sharing music with a wide variety of audiences. Cardamom Quartet's performances since 2017 have focused exclusively on music by women. As the norm of concert programs devoid of women composers persists, we want to challenge ourselves, our audiences, and our music community to imagine alternative realities. It is our hope that our work will contribute in part to a shift in the canon as well as an amplification of underrepresented voices. The quartet performs new and old works, including pieces written by members in the ensemble, with a focus on music of women and non-binary composers. Cardamom Quartet has performed in libraries, art galleries, houses of worship, senior centers, school programs, farmers’ markets, and living rooms throughout New England. In 2018, the group received a grant from The Boston Foundation in order to perform at organizations serving women in need in the Boston area and their cellist won the New England Conservatory Alumni Award on behalf of the quartet. In 2017, they received a grant from the City of Boston & Boston Cultural Council to lead an art-science residency with students at Boston Arts Academy. Cardamom Quartet has been featured on multiple series at the Boston Public Library and in a 2018 article in the journal of the International Alliance for Women in Music. 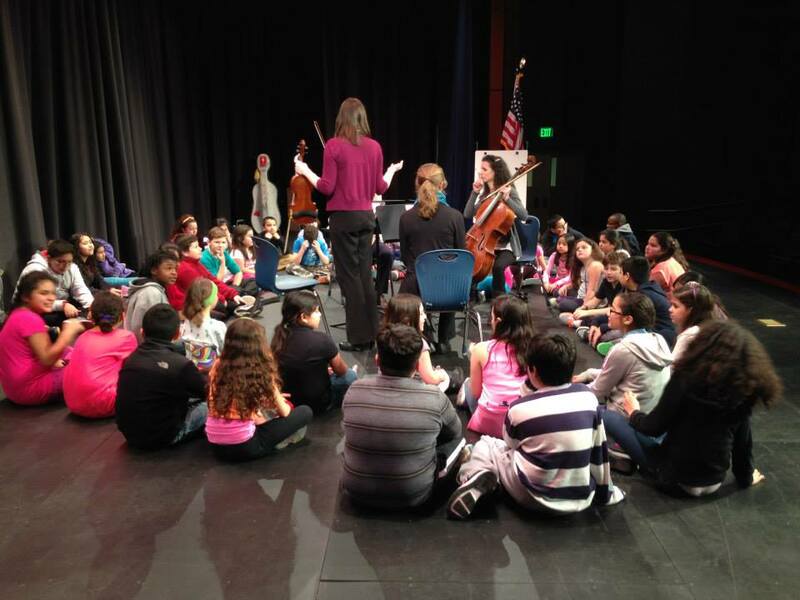 In 2015 and 2016, they completed residencies at Avaloch Farm Music Institute and were the string quartet in residence at El Sistema Somerville, an immersive after-school music program for elementary school students in 2014.
violin solos performed by Lisa Goddard, concertmaster. This recording is from the 2013 Spoleto Festival USA, Lisa's second of three seasons with the Spoleto Festival Orchestra in Charleston, South Carolina. Lisa served in several leadership roles during her time at Spoleto.